I have always believe in UFO’s most of my life It maybe one of the reason my love for astronomy is so great. 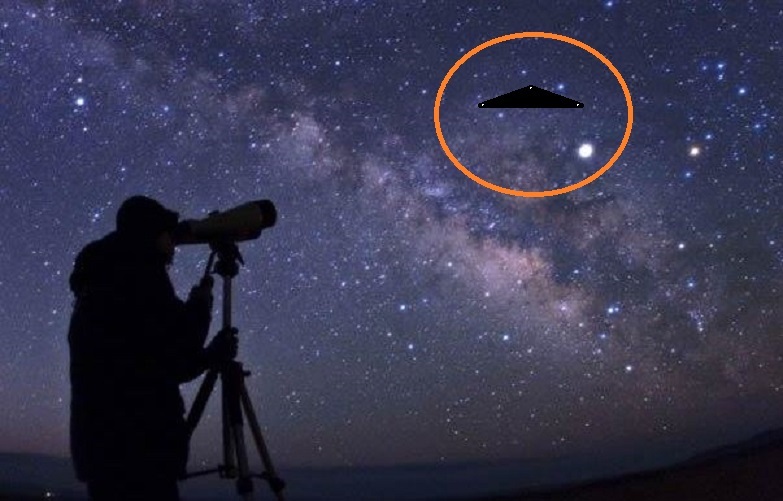 I have spent 1000’s of hours under the stars observing and have keep my eyes open for object that I or my colleagues could not be explained away I have to say that there has been a couple of times that what I was observing was questionable but could always be logically explained . With that I can say that there is one time I did see an object that was and is today my belief of the real thing and the real reason I believe The sighting was on July 5th, 1981 between 10:00 to 11:00pm, camping along the Conejos river, in Conejos county, in the Colorado mountains. My wife went to bed and I had decided to stay up. I was sitting in the lawn chair just outside our tent. I was looking at the satellites with a pair of 10×50 Bushnell binoculars. I was trying to catch them tumbling as they traveled across the sky. I was able to catch a hand full of satellites traveling east to west and west to east. Some of them did tumble. As I was looking for the next satellite I saw a set of 3 lights traveling north to south The satellites looking lights were in a triangle configuration. At this time in my life I have never seen a set of satellite traveling in a triangle formation. So moving my lawn chair around to get a better view with the binoculars. I look at the 3 satellites with the binoculars and saw a large black object with white lights at the corners of the black triangle. I should have seen the satellites traveling through the stars but only saw the very large black object I brought down the binoculars. Looking at the 3 objects, I saw 3 lights and all the stars as though there was no object I was seeing right though the object. I look through the binoculars again and saw the large black triangle and the white lights at each point of the triangle, they were not blinking. The black object was so large it filled almost the whole field of view of the binoculars Being so large I was thinking it should be making sound of some type Maybe a jet sound. Bring down the binoculars, I tried to hear something But not a thing. The out in the middle of nowhere quiet. By now the hair on my arms were started to stand up. I was looking at the 3 satellites moving through the stars again I look again through the binoculars again the very large object by this time I knew what I was looking at. I was thinking I needed to get my wife up to see the object. Bring down the binoculars, I look for the satellites looking light. The lights were gone. No moving satellite They vanish. I brought up the binoculars and started look for the large object. No large object. As large as this object was I should be able to fine it right away, but it was gone. disappeared, vanish, gone just that fast. I saw what I saw. Out of the 1000’s of all nighter under the stars, this has been my one and only true unexplainable event over 3 decades of observing. I am hoping that one night I will see again a life altering event like I did in 1981. NOTE: The above image is CGI.